DAIRY: Cr Robbie Radel said the code was a step in the right direction but it didn't go far enough. Contributed. A MANDATORY Dairy Code binding farmers and processors is a step closer to reality after Minister for Agriculture David Littleproud announced the government supported the concept. The code was recommended by the Australian Competition and Consumer Commission in its 2018 Dairy Inquiry and was also urged by peak industry body Australian Dairy Farmers. It would replace an existing voluntary code. Among nine key principles in the new code include provisions to ban retrospective price step-downs to farmers, ban exclusive contracts which stop farmers selling their excess milk to another company, and ban processors from withholding "loyalty payments” if a farmer moves to another processor. It would also establish a dispute resolution mechanism to resolve contract disputes between farmers and processors. The ACCC would be able to investigate code breaches and impose penalties. It would not, however, regulate farm gate prices or set the price dairy processors and retailers charged for their products. "This won't fix all the industry's structural problems, but it's a good first step,” Mr Littleproud said. The next step in the process will involve drafting wording for the regulations contained within the code. Australian Dairy Farmers released a statement supporting the development. 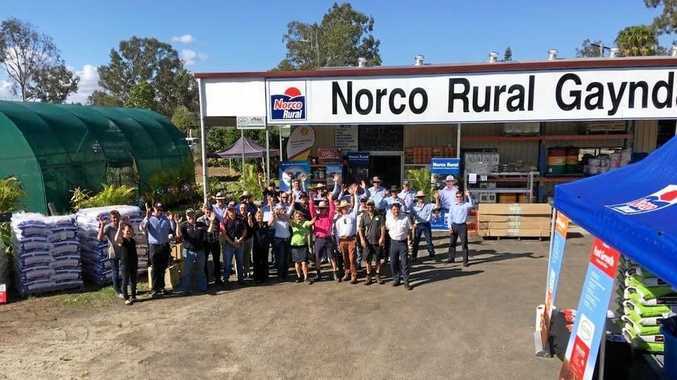 "A new code of conduct is an important step that will clarify and strengthen relationships between farmers and processors across all states of Australia,” it said. Monto dairy farmer Neal Darlington, one of only four left in the former dairy stronghold, is unimpressed by the announcement. "I can't see how they would do it,” Mr Darlington said. "They've deregulated the industry and this is regulation. North Burnett Regional Councillor Robbie Radel, who farms dairy in Coalstoun Lakes, was cautiously optimistic, saying it's a "step in the right direction ... but it doesn't go far enough”. "There should be more safeguards against supermarket giants like Coles and Woolworths being able to screw us into the ground,” he said. The deregulation of the dairy industry began in 1999, as existing state legislation regulating the supply and pricing of milk was repealed.